Denver’s Float Like A Buffalo has released a new EP, Enjoy The Ride. The release begins with Whiskey Dreams, a track which calls forth comparisons to acts like The White Stripes and the Drive-By Truckers. Brooding bass lines blend with punchy drums and sizzling guitar work to tell more with the opening minute of instrumental arrangements than many artists could do in the course of an album. Tremendous charisma bubbles through during Enjoy the Ride, which showcases an act that effortlessly blends together indie rock, punk, and alt-country styles. This Moment is a bouncy effort that will tattoo its drum/guitar dynamic deep into the psyche of fans. A beautiful production allows each element of Float Like A Buffalo to shine while contributing to an overall sound. A punchy start-stop drum piece immediately precedes an infectious set of guitar riffs, changing things up considerably and ensuring that fans will be at the edges of their seats until the end of this five-plus minute effort. Dr.’s Orders is a chugging piece of stripped down rock music that unites the 1980s work of Motley Crue, the raw appeal of Glenn Danzig’s vocals, and intellectually engaging arrangements. Smile for the Cameras acts as a microcosm of the styles that FLaB offers on the earlier sections of the disc. 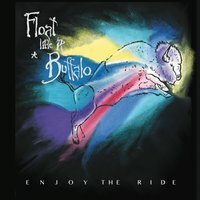 Float Like a Buffalo is an extremely tight and close-knit band that creates something wholly unique on their new EP. Over the course of this EP, fans will receive an introduction and education into one of the most exciting bands that we have heard so far this autumn. Whether it be taking up jam styles, Detroit rock or contemplative approaches to their music, Float Like a Buffalo is able to keep the energy high and the music complex and rewarding. Check them out. Enjoy The Ride is available from CDBaby.